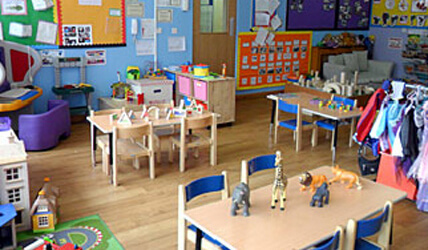 From home to nursery school, creating a warm, welcoming environment for both parents and children. Taylor’s Tots nursery is a family run concern with the emphasis on quality care within a caring and stimulating environment. The nursery is owned and managed by Sharon Taylor who has over 13 years experience in running her own nurseries in and around the Sutton Coldfield area. Children's confidence and self-esteem are promoted well as they receive lots of encouragement and praise in all that they do. 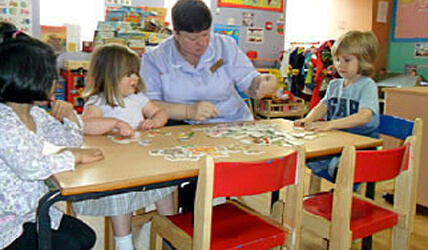 Staff demonstrate a good knowledge of how young children learn and develop. are are most effective at nurturing and giving care and attention to all. Children are provided with some lovely experiences to develop their awareness of life cycles and caring for living things, for example, watching as eggs hatch into chicks. In our Cygnet Room we have three staff; two full time and one part time, including a nurse practitioner caring for up to nine babies in our bright baby room. Children develop quickly in the early years, and our early years practitioners aim to do all they can to help your children have the best possible start to life. 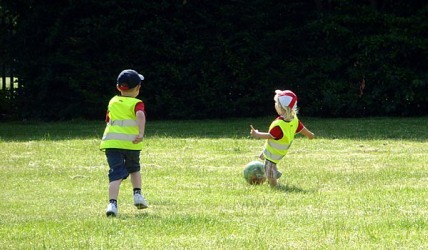 Your child will be learning skills, gaining new knowledge and demonstrating their understanding through seven areas of development.